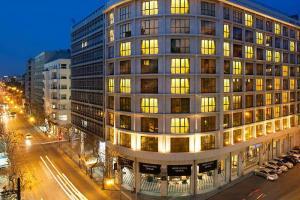 At the Meliá Athens, enjoy a memorable stay in the city’s ultimate urban oasis. With the Acropolis and Lycabettus Hill as a backdrop, Meliá Athens provides magnificent facilities, spacious dining areas, rooftop pool and restaurant with views of the historic monuments and a modern health club with cardiovascular equipment. Rooms and suites, decorated in warm tones, are an oasis of calm.